Where the music journey was all started. TIKAROS is a singer/songwriter and also a DJ. Now He recognized as a spiritual and versatile artist who resides currently in Japan. From an early age TIKAROS knew he wanted to make music, and that desire became a very important part of his life.Though opportunities to break into the music industry were few, he never gave up on his desire to let the world hear his voice, This struggle made him even more focused and determined to reach his goal, this also gave him time to perfect his style and sound, which is a mixture of Reggae, Roots, Dancehall and also fusing those genres with R&B and HipHop. 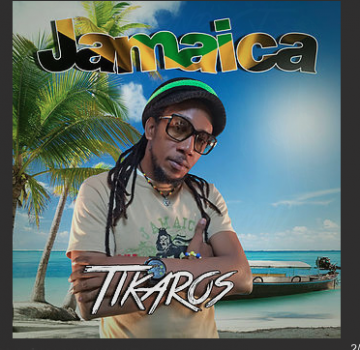 TIKAROS first recording was a dub plate back in late '80s in Jamaica. When is singer friend(sugar c) saw the talent he has that was a great moment, Because his friend was planing to take him to the studio for the first time. Since then TIKAROS keep moving and hoping for brighter days a head. After migrating to Japan he has done a few recording "My Angel" and "My Kind A Style" were on a HIP HOP R&B type beat in 2001. These songs gave him some exposure but not as much as he was hoping. Still working on getting his voice heard TIKAROS started to team up with producers around the world. Please contact us at Jack Russell Music if you would like to use any of Tikaros’s compositions for film, television, electronic media or covers.